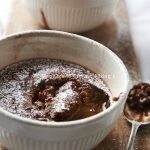 Indulgent self saucing pudding, a chocolate lovers heaven. Serve hot with ice cream or single cream. Put the cocoa powder,caster sugar,flour, salt and baking powder in a clean mixing bowl. Whisk the eggs in another bowl then melt the butter add this and whisk in, add the milk stirring in, add this to the dry ingredients, mis together until smooth. Pour into your baking dish or dishes if your using two smaller ones. 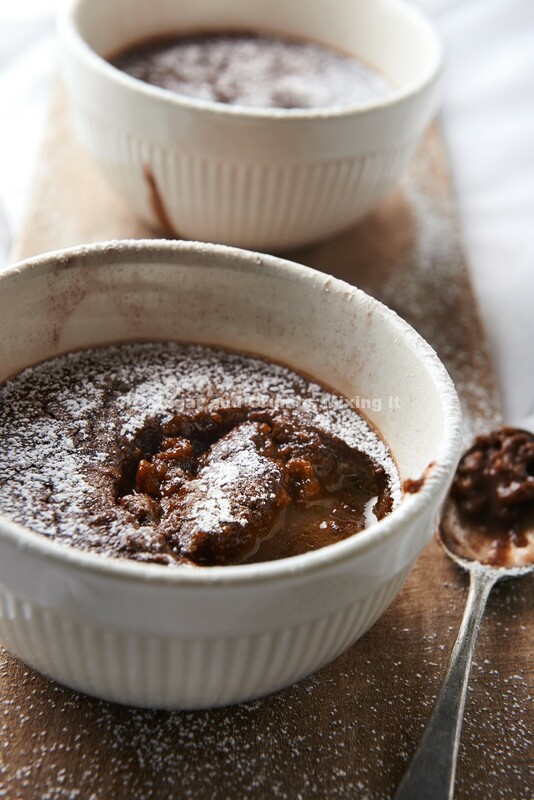 Mix 300ml of boiling water with the light muscavado sugar and 25g of sugar and Crumbs chocolate orange cocoa powder with a whisk, pour this over the top of your batter mix. Bke in the oven for 30 mins on the middle shelf until risen and looks like it has delveloped a crispy top. Serve immediately from the oven and serve with icecream or single cream, Optionally you could also add a sprinkle of our Orange zest icing sugar.